The job of Facebook’s board is to oversee the company for long term growth and profitability. Part of that director’s job is anticipating risks and looking forward to future proof the company as the market and regulatory environment evolves. The first big regulatory reform to hit Facebook was Europe’s GDPR. These new regulations protected user’s data so it can’t be mined and sold to companies like Cambridge Analytica who then sold their individual data to political campaigns. There are big issues now facing the Facebook board. The first one is transparency and information from management to the board. The New York Times expose showed Sandberg and Zuckerberg’s denial and suppression of major business risks from Chief Security Officer Alex Stamos when he attempted to investigate the Russia situation. Boards must be able to rely on their management team’s honesty and transparency to share major corporation risks. The board should take this opportunity to redefine and refresh the line between what topics come to the board and which ones do not bubble up. This leads to the bigger topic of revisiting the definition of the company’s business. 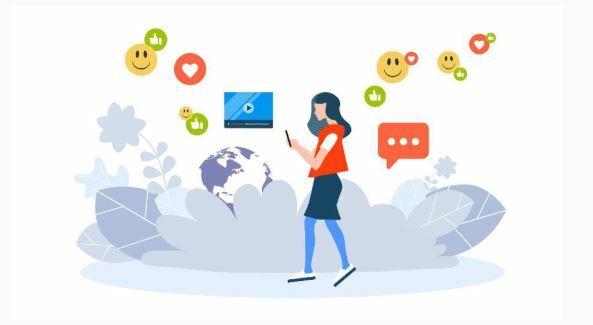 Is Facebook a social media lifestyle engagement platform? Yes, 68% of US adults use Facebook.Is Facebook an eCommerce platform? Yes, Facebook’s platform, Facebook Store, allows sellers to list products, and set up a shopping cart to connect payments. Their new Instagram Shopping app is reportedly targeting $4 B in sales by 2020.Is Facebook a digital advertising platform? Yes, $34 B in worldwide advertising revenue in 2018.Is Facebook a data mining / business intelligence platform? Yes, as clearly shown by the Cambridge Analytica scandal where they sold data on 87M users.Is Facebook a News “Media” platform? Yes, a media company is an intervening agency, means or instrument. Facebook provides news via member posting and they partner with the New York Times, Buzzfeed and NBC for content. My belief is the boards oversight duty includes challenging management to refine, refresh, and when needed, redefine the scope and definition of their company’s businesses. Accidental drift, gradual metamorphosis is not the best company strategy and is not effective board oversight. Facebook has gradually evolved into many specific and intermingled business lines. This is not an unusual phenomenon in the world of platform dominance. We see this at Amazon with their original Kindle business building into an e-commerce leader and adding their analogous Amazon Stores and AWS cloud services. The different issue at Facebook is that they have crossed over into being a media company and have not directly forced this issue and the compliance requirements of being a media company. According to Oxford, the definition of a media company is: A company that provides broadcasting, film, and Internet services. Facebook can’t defend with honesty that they are only a social media platform company when 43% of US Adults get their news from Facebook according to Pew Research. The board would best serve the shareholders to ask management to assess the risk and trade-offs of the cost of proactively embracing the regulatory framework of being a media company. What revenue streams would Facebook lose? The reputational risk and downside of not addressing the known hate posts to drive violence, the known political purchase to produce biased manipulation or clearly false information will have consequences and the public will demand regulators step in. Transparency and authenticity with users and consumers will serve Facebook. Look at how Starbucks faced the issue of racial bias. By addressing this, it helped their brand. It’s not believable that Facebook, whose entire monetization model is based on tracking every user’s clicks, cookies, eyeball duration of engagement to create a unique segment of one for targeted ads and mined data can claim ignorance or innocence on posted information – it’s a silly and insulting assertion. We all want Facebook to thrive and accept they make money via digital advertising. To make their ads valuable they need maximized eyeballs, engagement and on site time to charge more. TV, newspapers and magazines report subscription numbers to attract their advertisers. That’s why the newspaper and TV adage of “if it bleeds, it leads,” is true. They are rewarded to drive viewership. TV media has their Neilsen ratings to confirm that the eyeballs on the screen/ number of watchers is accurate. Facebook has an inherent conflict of self-reporting their numbers of users and level of engagement, but that’s a matter the marketplace will correct over time. Ultimately Facebook will need to be regarded as an online news media outlet. My view is their board should proactively discuss with management the pros, cons, risk, and business case trade offs. Generally it’s better to have a thoughtful strategy and to embrace the inevitable. This flags the final, big Facebook board governance elephant in the room. When you have a dynamic founder who is both CEO and Chairman, it’s hard for there to be transparency for the board into management issues. Mark Zuckerberg has 16% ownership, but the big issue is his super voting rights of 60% control of the voting shares. The shareholders will want their Board to represent and be able to stress test and challenge management’s logic. That’s the essence of the board’s role, to make business judgments for ALL shareholders. Should the Chairman role be separated when the CEO already has 60% voting rights? Should the Facebook board challenge management to present the business case for embracing a balanced media regulatory framework? Ultimately, the shareholders and the marketplace will decide the issues!